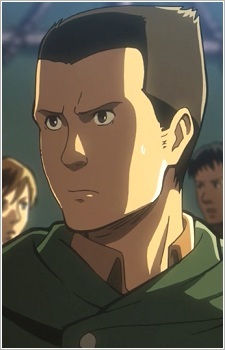 Gunther Schultz is a soldier hand-picked by Levi and put in the Special Operations Squad. He is a skilled warrior with a high titan kill record. He has a total titan kill record of 47 (40 in teams and 7 solo). Note: Gunther Schultz is the official English translation by Kodansha.